The RoboCup Federation and the Mexican Robotics Federation are pleased to invite you to RoboCup 2012 to be held in Mexico City from Monday 18th through Sunday 24th June 2012. RoboCup 2012 will take place at the International Exhibition and Convention Center WTC Mexico City. The RoboCup World Championship brings together every year close to 3,000 participants from different parts of the world to compete in a number of advanced robotic leagues. The Mexican Robotics Federation (FMR, for its Spanish acronym) is proud to participate in the organization of RoboCup 2012. FMR has been sponsoring events in Mexico for over 10 years and is organized by scientists in Mexico with a common interest in robotics and related fields from some of the most prestigious research universities and institutes in Mexico. We look forward to having you participate in RoboCup 2012. Note *: Pre-registration deadlines for some leagues may vary. Travel to Mexico to experience a nation rich in history, tradition, and culture, dating back to several thousands of years before our era. Many great civilizations have defined Mexico, among the most important the Olmecs, Mayans, Toltecs, and Aztecs. Mexico City was originally built by the Aztecs in 1325 on an island of Lake Texcoco and was called Mexico-Tenochtitlan. It was by destroyed Spanish conquistadores in 1521, rebuilt, and named Mexico City in 1524. As of 1585, it was known officially as "La Ciudad de México" (Spanish for Mexico City). Today, Mexico City is the political, economic, commercial and cultural capital of Mexico. It welcomes more than twelve million visitors a year from all over the world from both business and leisure travelers looking to discover the city's rich history, culture and sophisticated urban environment. There are numerous historic and cultural attractions, parks, entertainment and recreational facilities. Nearly every type of international cuisine can be enjoyed. There are a variety of shopping centers, from modern malls to neighborhood markets and handicraft shops. As is the case with major urban centers around the world, Mexico City has many distinct neighborhoods. A modern subway system links these neighborhoods and extends into the city's vast suburban areas. One-hour drive northeast of Mexico City is Teotihuacan, the most visited archeological site in the country, which dates back to 300 BC being one of the earliest metropolis in the continent with neighborhoods representative of several mesoamerican regions. The Pyramid of the Sun, one of Teotihuacan's two pyramids, is the third largest pyramid in the world. By the time the Aztecs discovered it, Teotihuacan was already an ancient ruin. Mexico as a country has a population of over 100 million people. Metropolitan Mexico City has over 20 million residents making it one of the most populated cities in the world. Spanish is the official language although many indigenous languages such as Nahuatl being spoken by 1% of the population. Although English is spoken in most touristic places, we recommend you brush up on your Spanish in order to communicate with anyone in the heart of Mexico City. The climate of Mexico City is subtropical highland, due to its tropical location with a high elevation (7,350 ft). Mexico City resides in the Trans-Mexican Volcanic Belt and Popocatepetl Volcano can be seen on a clear day. Mexico City gets 32.3 inches of rainfall in average per year, which occurs mostly during the rainy season from June to October when higher temperatures occur. So, be prepared for warm and rain! The Mexico City metropolitan has many public transportation options including various types and shapes of buses, the city subway system (known as "Metro"), and taxis. Relative to prices charged in other large cities worldwide, public transportation in Mexico City is quite inexpensive. Real Mexican food is quite unlike the dishes found in most Mexican and Tex-Mex restaurants in other countries. In tourist areas you'll find restaurants with familiar names and menus, but if you have a taste for adventure you'll be well rewarded in Mexico, although beware of the spicy dishes! We recommend you drink bottled water. Upset stomachs are commonly associated with unpurified water used in ice or used to wash salads and fruits. Mexico's electricity system is the same as that of the US: 120 V / 60 Hz. Most plugs in Mexico are the same as in the US; two flat prongs. RoboCup 2012 will be held at the World Trade Center (WTC) located in the heart of Mexico City, about 30 minutes by car from Benito Juarez International Airport and from the most important financial, cultural and entertainment centers. WTC is located on Philadelphia Street between Insurgentes Avenue and Dakota Street. World Trade Center's has various means of transportation making it easily accessible by Metro, MetroBus, bus, taxi or car. Just outside the Convention Center there is an authorized taxi service that can take you anywhere in the city including the airport for about $25 USD. The "Metro Bus", which runs right in front of the WTC, is a public transportation system where buses move across the city in an exclusive lane avoiding day-to-day traffic. There are 4 stations within a 2-mile radius of the WTC. One of them Mexico, the Poliforum Station, is right in front of the WTC. The WTC MEXICO CITY is located close to many office buildings, hotels and a multitude of restaurants that span the full spectrum of prices. A value meal runs for about $5 USD (McDonald's, Burger King, etc. ), while restaurants offer dining options from $8 USD at the lower end to about $30 USD (or even more) at the higher end. For example, the "Palacio Restaurante" located a few steps away from the WTC (right next to the Poliforum Siqueiros) offers complete meals for around $100 MX (about $8 USD) and can sit up to 135 people. Within a few steps of the WTC one can find a Burger King, Domino's Pizza, Starbucks, Italianni's, and many other dining options. For those that are willing to pay a premium in exchange for an exceptional meal, there are many prime restaurants also within walking distance. Among those options the restaurant Bellini stands out. It is located in the round structure at the top of the WTC office building. It features a revolving platform from where spectacular views of the city can be appreciated. Its menu is one of the most highly rated in the city. Additionally, inside the venue itself there is a restaurant that can serve up to 250 people, and a coffee shop. Mexico City has a wide range of hotels to suit all budgets, and the WTC has a great range of accommodation options with over 25 hotels ranging from 3 to 5 stars in a 3 mile (5 Km) radius resulting in more than 8,000 rooms. We have provided a selection of hotels that you can reserve through the robocup2012 web site by filling the "book here" form found next to each hotel description. Hotels are organized in 3 zones according to distance to the WTC venue with zone 1 being the closest. A map is provided showing the location of hotels for each zone. Most hotel rates include breakfast. We have blocked rooms at the Holiday Inn Express for Junior teams, and Crowne Plaza for RoboCup organizers. Blocked room reservation for these two hotels require an access key provided to participants after registration. A number of airlines have offered various discounts to RoboCup 2012 participants for travel to Mexico City. To take advantage of these discounts you would need to enter the special codes shown in our air transportation web page at the airline web sites at the time of purchase. 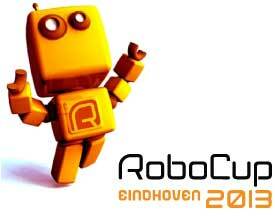 Registration information is already available at the RoboCup 2012 web site. Link to actual registration web site will not be available until March 1 when early registration starts. Note the registration deadlines as described in the "important dates" section of this newsletter. Many countries in the world do not require visa to enter Mexico, including US, EU and most Asian countries. Andorra, Argentina, Aruba, Australia, Austria, Bahamas, Belgium, Bulgaria, Canada, Chile, Costa Rica, Cyprus, the Czech Republic, Denmark, Estonia, Finland, France, Germany, Great Britain, Greece, Hong Kong, Hungary, Ireland, Iceland, Israel, Italy, Japan, Latvia, Liechtenstein, Lithuania, Luxembourg, Malta, Monaco, Netherlands, New Zealand, Norway, Panama, Poland, Portugal, Puerto Rico, Romania, San Marino, Singapore, Slovakia, Slovenia, Spain, South Korea, Sweden, Switzerland, The United States of America, Uruguay or Venezuela. Afghanistan, Albania, Algeria, Angola, Antigua and Barbuda, Armenia, Azerbaijan, Bahrain, Bangladesh, Belarus, Benin, Bhutan, Bolivia, Bosnia and Herzegovina, Botswana, Brazil, Brunei, Burkina Faso, Burundi, Cambodia, Cameroon, Cape Verde, Central African Republic, Chad, China, Colombia, Comoros, Congo, Congo, Rep. Dem (Zaire), Cote d'lvoire, Croatia, Cuba, Democratic Republic of the Congo, Djibouti, Dominica, Dominican Republic, Ecuador, Equatorial Guinea, Egypt, Eritrea, Ethiopia, Fiji, Gabon, Gambia, Georgia, Ghana, Grenada, Guatemala, Guinea, Guinea Bissau, Guyana, Haiti, Honduras, India, Indonesia, Iran, Iraq, Jordan, Kazakhstan, Kenya, Kiribati, Korea North, Kuwait, Kyrgyzstan, Laos, Lebanon, Lesotho, Liberia, Libya, Macedonia, Madagascar, Malawi, Maldives, Mali, Mauritania, Mauritius, Moldova, Mongolia, Montenegro, Morocco, Mozambique, Myanmar (Burma), Namibia, Nauru, Nepal, Nicaragua, Niger, Nigeria, Oman, Pakistan, Palestine, Papua New Guinea, Peru, Philippines, Qatar, Russian Federation, Rwanda, Sahrawi Arab Dem. Rep., Saint Kitts and Nevis, Saint Lucia, Saint Vincent and the Grenadines, Sao Tome and Principe, Saudi Arabia, Senegal, Serbia, Seychelles Islands, Sierra Leone, Solomon Islands, Somalia, South Africa, Sri Lanka, Sudan, Surinam, Swaziland, Syrian Arab Republic, Taiwan (China), Tajikistan, Tanzania, Thailand, Timor-Leste, Togo, Tonga, Tunisia, Turkey, Turkmenistan, Tuvalu, Uganda, Ukraine, United Arab Emirates, Uzbekistan, Vanuatu, Vietnam, Western Samoa, Yemen, Zambia and Zimbabwe. It should be noted that any travel to Mexico through the US will require a valid visa for both the US and Mexico and customs inspection both in the US and Mexico.